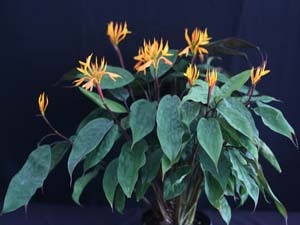 This is a very gorgeous ginger that doesn't get very big. 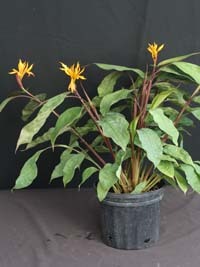 It does not take over and can be grown in pots. 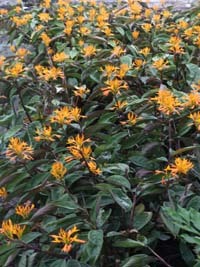 It grows well in a bright shade or filtered light location. 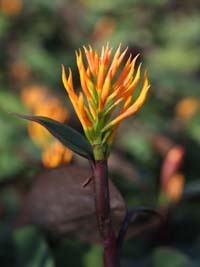 If kept over 50 degrees F, this ginger will bloom on and off through out the whole year. 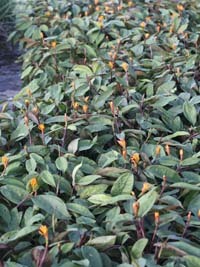 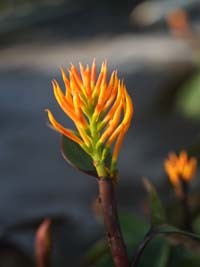 The flowers are a flashy orange color, very unusual.